Hey everyone! You guys all wanted me to do a new Morning Skin Care Routine, so I hope it helps. I tend to change my Skin Routine quite often because my skin changes in different seasons. At the moment my skin is a combination of oily and dry but it will become more dry the colder it becomes outside, whereas in the summer in tends to be more oily. Firstly when I wake up, I will go over my face with a make-up wipe, just to get rid of any oils or bacteria built up on my skin overnight, then I go ahead and put warm water on my face. Once my face is wet, I ex-foliate using either Ocean Salt or Garnier Pro-Active 3in1. 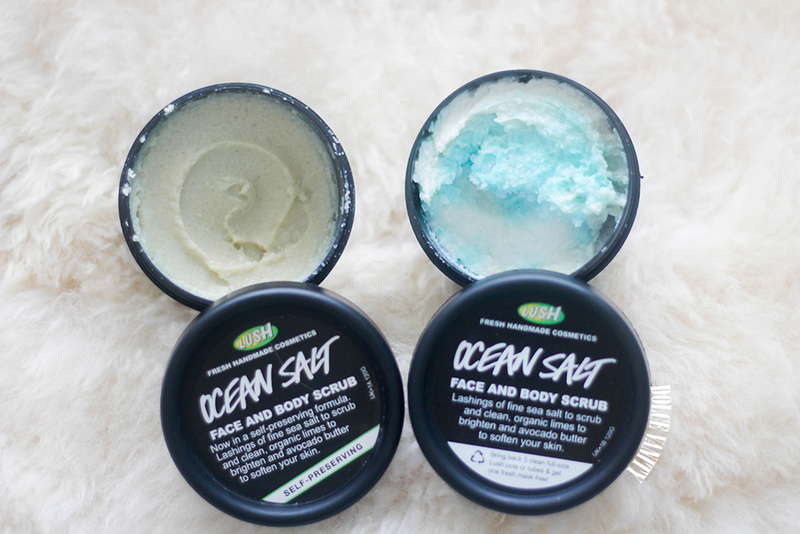 So above you can see the Ocean Salt, I tend to use this 3 times a week and not everyday as its quite rough on the skin, but its completely up to you whether you use it everyday, people prone to sensitive skin like myself are better off using it a few times a week. The product is amazing though and it leaves your skin silky smooth after use, as it contains Avocado butter which is very moisturising. I would recommend this product to anyone as its great for clearing up breakouts and acne prone skin. 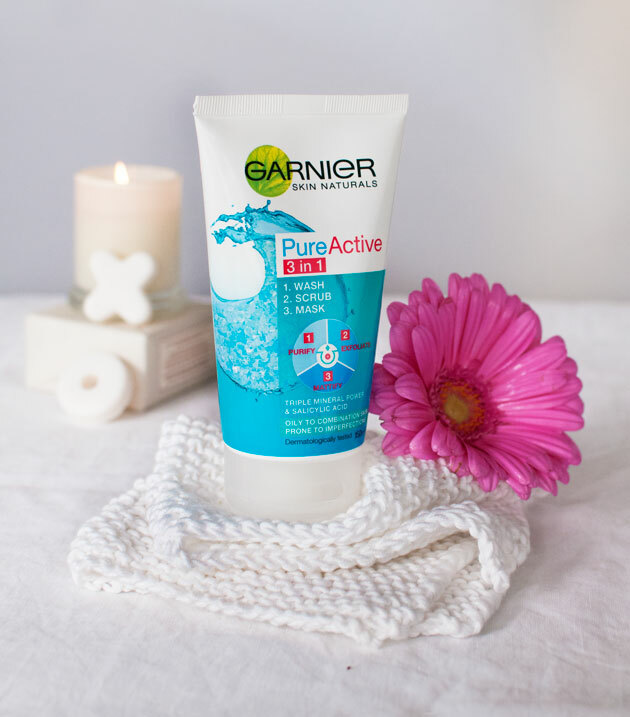 In between using Ocean Salt, I use Garnier Pure Active 3in1 and this product is amazing! 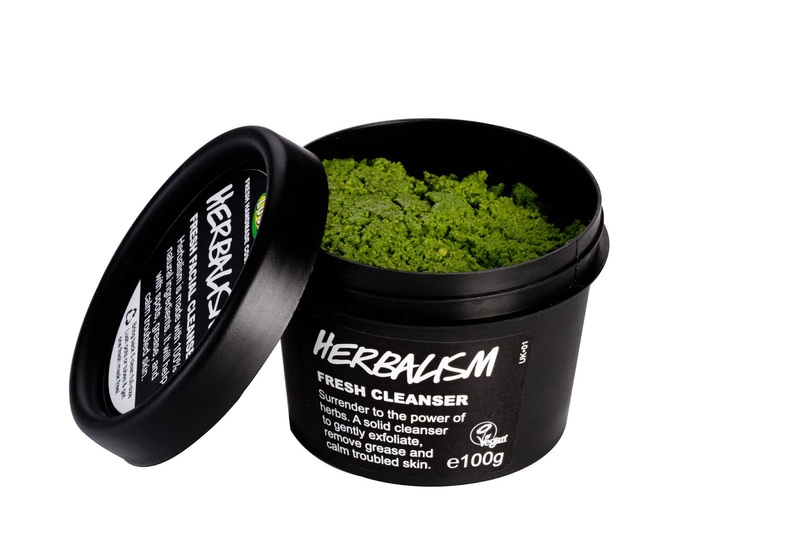 Its so gentle on your skin and is an ex-foliator as well as a cleanser and face mask. It has helped clear up my skin as well as brighten. I love love love it! Once I have ex-foliated my skin, I take my Herbalism Cleanser, this product is amazing and you can use it all over your body. Not only does it wipe away all the dirt and excess oils on the skin, but its removes red patches/circles and blemishes. I take a small amount in my palm and add water until its a paste then gently rub into my skin for a few minutes, the results are so good! I will try and do a before and after soon so you can see the results. 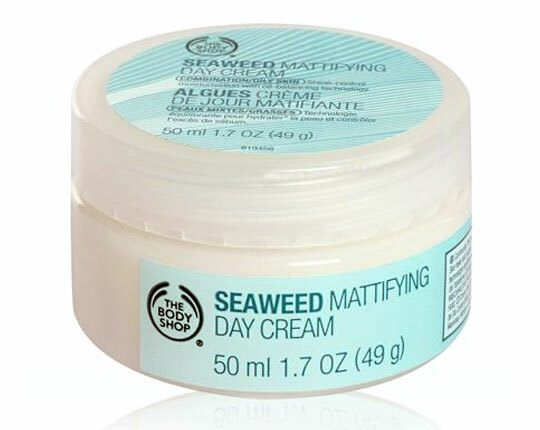 After I've removed the cleanser I pat my face dry and remove excess water, then I go ahead and apply my Seaweed mattifying day cream from The Body Shop, What I love about this product is a little goes far and it goes on the skin so lightly. After use my skin feels so soft and ready to apply make up. The product also helps to fight any breakouts and leaves the skin feeling moisturised. I hope you all enjoyed this post and if you have any future posts you would like to see feel free to email or message me on my instagram/twitter.